Luxury rooms & suites, ideal for destination lodging or weekend getaway. Combine with award-winning restaurant & wine list. New lodge suites add in 2012. See our 360 tour. 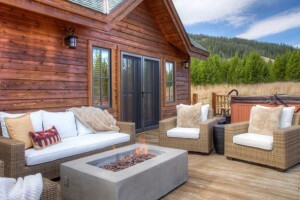 Luxury homes an hour to Yellowstone Park. Winter access to 5800+ acres of terrain at Big Sky. Summer includes hiking, zip lines, rafting, swimming, golfing, fishing and more. If you enjoy the finer things in life, you'll enjoy our luxury JEEP Wranglers. Leather interiors, navigation system, sunroof, seating for 4 plus lots of storage.